Happy Halloween! Trunk or Treat? ≈ Comments Off on Happy Halloween! Trunk or Treat? Thanks to a good friend of mine, a Tarheel transplant to Alabama, I learned about “Trunk or Treat” this week. Trunk or Treat is a Halloween event, usually organized by community or church groups, to provide a safe family environment for trick-or-treaters. Participants decorate the trunks of their cars and then gather in a large parking lot and pass out candy as children visit each car at the event. 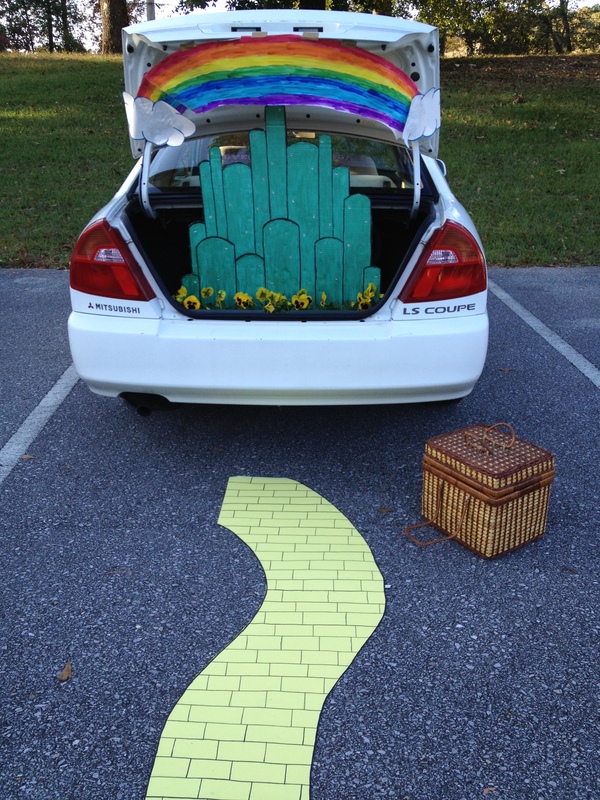 Pictures are always worth a thousand words, so here courtesy of my friend is her Wizard of Oz themed trunk! Happy Halloween! Last weekend I visited friends in Boston (Tarheel transplants by way of Philly) and being the foodies they are I was taken to fabulous eatery after even more amazing eatery. Impossible to choose my favorite, I would recommend them all the next time you find yourself in Beantown. My first Afghan cuisine experience and it was tre yummy! I highly recommend trying any lamb dish, but their veggie dishes of eggplant and pumpkin are delicious as well. Read menu here. The Helmand also has a location in San Francisco at 430 Broadway, San Francisco, CA 94133. I love a walk on a crisp fall day. 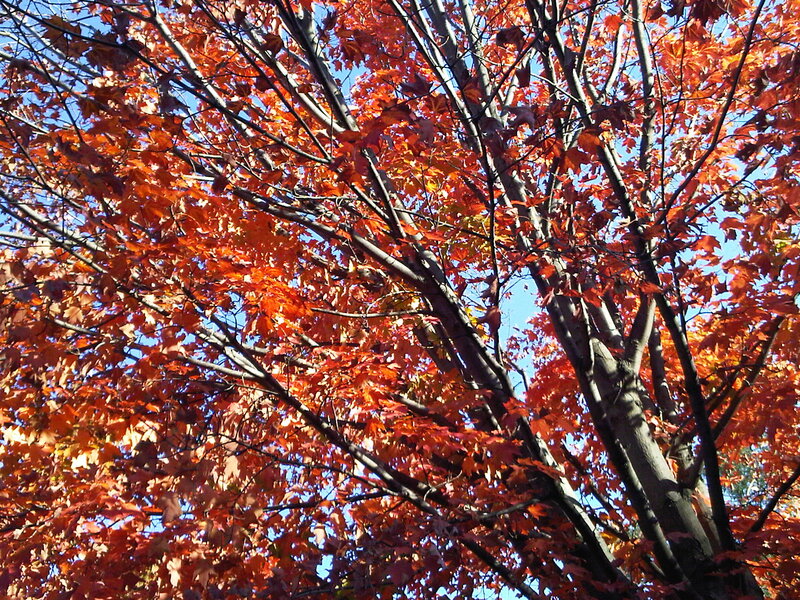 Yesterday’s urban hike through Boston’s South End was a treat, complete with pumpkins decorating front stoops and the leaves starting to turn to beautiful yellows, oranges, and reds. Enjoy the photos and get ready for reflections on this weekend’s food tour of Boston with my friends Q and Y. A visit with them always means trying lots of great new restaurants! In case you missed it, photos from my walk through Washington, D.C. in September here. Crepes! Crepes! Crepes! Discovering Hazelnuts Creperie in Uptown Charlotte last week was a yummy find! Asi Agajan opened Hazelnuts Creperie in March 2012 after moving his family from New York to North Carolina. Formerly in retail, Asi followed his passions and took a risk with opening up his own creperie here in Charlotte. His love of good food and great service comes through with the delicious variety of savory, vegetarian, breakfast, and sweet crepes options. You can also create your own breakfast crepe with 20+ ingredient options including cheeses, meats, veggies, and eggs or egg whites. I came in at lunch and was going to order the Turkey Bacon Avocado Crepe, but after Asi’s suggestions went for the Chicken Curry Crepe extra spicy. You can enjoy Hazelnuts Creperie at 200 South Tryon Street in the Lobby between 3rd and 4th Street. When you enter 200 South Tryon, just take a right and walk back along the hall and you will find Hazelnuts. Check them out on Facebook here. 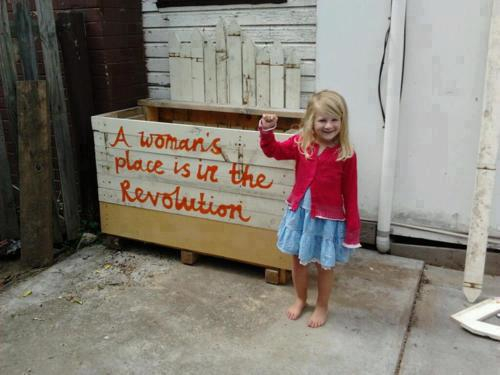 International Day of the Girl is a movement . . . to speak out against gender bias and advocate for girls’ rights everywhere. Shatter stereotypes. End injustices. Demand equality. Change the world! Learn more here. Amazing photo thanks to Being Feminist. Check out Being Feminist’s amazing blog here and Facebook. Happy One Month Birthday NC and Beyond! 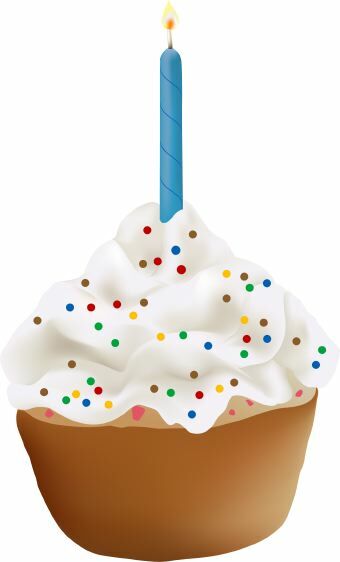 ≈ Comments Off on Happy One Month Birthday NC and Beyond! Good Reads: Summer 2012 – Special thanks to the amazing and talented novelist J. Yinka Thomas for her continued support and encouragement as NC & Beyond finds it’s writer’s legs! NC & Beyond looks forward to continuing to share travel adventures from around North Carolina and the world! Don’t want to miss anything? Stay connected on Facebook, Twitter, or sign up for email updates (look to your right under “Stay in Touch”) to receive posts directly to your email inbox daily or weekly. Grazie mille for reading!!! (1) Liberty Oak Restaurant and Bar: LOVE. Always yummy and great service, a definite must-do on your bucket list. Spacious indoor dining area and outdoor patio seating. Read the menu here. My personal favorite from their dinner menu is the Wonton Bowl . . .
(2) Loaf: Local bakery where you can get everything from fresh baked bread, pastries, your caffeine fix, and great lunchtime sandwiches. Outdoor and indoor seating to enjoy. Check it out here. (3) Cheesecakes by Alex: LOVE. 20 flavors of cheesecake, need I say more? – including seasonal specials! You can eat on their lovely patio, take it home, or even order online. Visit them here. (4) The Green Bean: One of my favorite coffeehouses of all time – their frozen chai latte is a must! Free wifi, spacious tables, live music, get the details here. (5) Fincastles Diner: A go-to for a great burger or po’boy. Check out Fincastles here. By no means is this a complete list of places you should check out OR in any particular order . . . picking my favorite would be too hard a task to tackle. Hope you enjoy Greensboro eats! I meet a city by walking. After a time, I fall in love with the city and those details that you only notice when you slow down enough to appreciate the way the early morning light casts beautiful shadows that give everything a look that is distinctly different than at any other time of day. I went to Washington as everybody goes there prepared to see everything done with some furtive intention, but I was disappointed – pleasantly disappointed. If you find yourself walking along the mall early on a Saturday or Sunday and need a bite (most D.C. brunch spots don’t start serving until 10:00a) the Corner Bakery at the National Press Building is open early and serves a great cup of coffee. You can find it at 14th and F Street NW. If you are ever invited to go rafting on the Nantahala River, by all means please accept. It winds it’s way through a beautiful area of Western North Carolina and you will have an amazing time! Not to be confused with the rubber duckies that might have joined you for bath time as a little one, a duckie is made of the same rubber/PVC materials as larger rafts. To me they look like inflatable kayaks. Want to know more about duckie’s? Go here. An experienced kayaker along the coast of North Carolina, a certain family member to remain nameless thought it would be a good idea for the two of us to raft down the Nantahala in duckies while the rest of our family safely used a larger raft. It was fun for about the first 20 minutes, then I almost drowned for the first time. My duckie hit a rock the wrong way, I shifted my weight as instructed by the guide before he dropped us off, but to no avail. I tipped over and was in the freezing cold water. I managed to hang on to my paddle with one hand and the duckie with the other hand. But, figuring out how to hoist myself back into the raft was another matter entirely. Thank goodness for a kind samaritan in a real kayak that stopped and helped me back into the duckie. I then managed the rest of the two hour trip without falling out again until the very end when I flipped again after a 2-3 feet drop. This time it happened to be caught on camera by the rental place who was stationed on the bank of the river to take pictures of groups as they finish their trip. Much to the enjoyment of my family, there were 4-5 pictures of me falling out up on the rental place’s website for a couple of weeks. I was also contacted after the weekend with messages such as “I am proud of you for not dying” and of course I still hear about it at least once a year at a family gathering. So, lesson learned. Rafting on the Nantahala YES. Rafting in a duckie on the Nantahala or anything other river NO. There have been many great photo finds during the great closet clean-out of 2012. This photo is certainly one of my all-time favorites. I can’t help but smile each and every time I look at this picture. What I know. 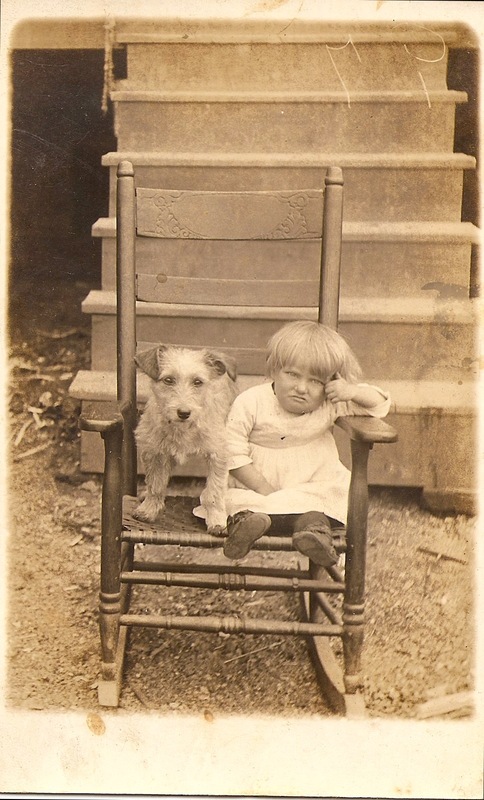 My Great Great Aunt loved photography and took many pictures of her family as well as children living in their neighborhood in Charlotte. What I can’t figure out. Is this little tot a boy or a girl? Why oh why would anyone be put through that awful bowl cut. Why is the dog so happy and the little tot so mad? Is it because this child is a boy and he is really not pleased with the white dress? What I have decided. The dog prefers to go by Sammy Jr. His given name was Edgar, but he feels like that is too pretentious.